Leafcutter Ants are located in Southwestern United States, Central and South America. Leafcutter Ants cut pieces of leaves or grass with strong jaws, then use the plant matter to grow their own fungus which they eat. Leafcutter Ants live in nests in forests and agricultural areas, mostly in tropical areas. 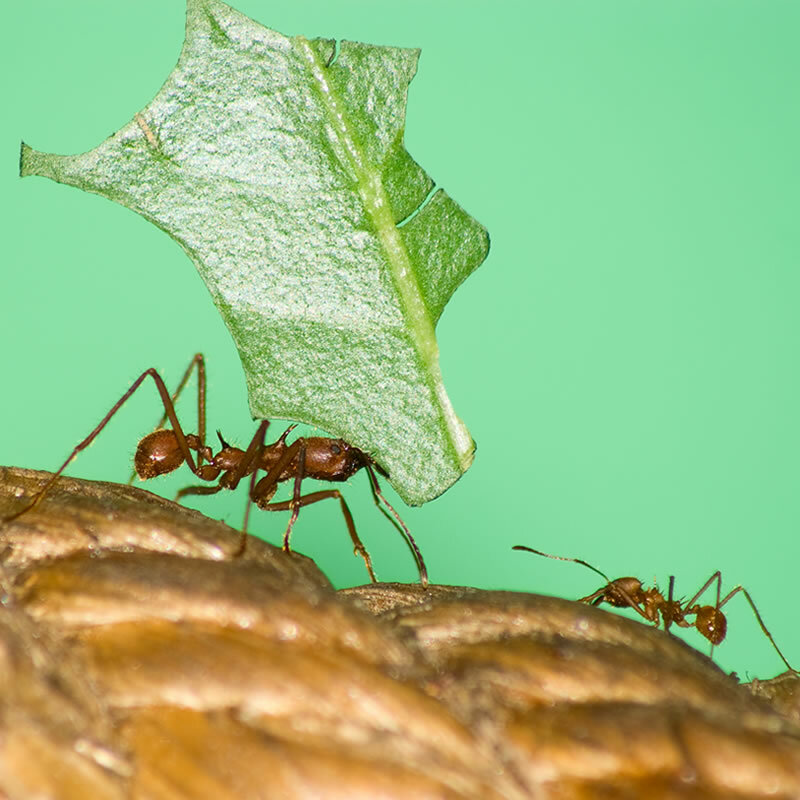 Leafcutter Ants can be from .1 - .65 inches. The queen ant lays eggs in the nest, the eggs eventually hatch and become larvae. The larvae pupate and become adults.